Complete cleansing system with probiotics! Toxins are everywhere. What we breathe, eat, drink and absorb through our skin is purified and detoxified in the liver - where environmental toxins and the effects of improper eating and lifestyle habits can really build up. Take with at least 8 ounces of water. Take 3 capsules in the morning and 3 capsules at bedtime for 14 days. Caution: Take this product with at least a full glass of liquid (8 oz). Taking this product without adequate fluid may cause it to swell and block your throat or esophagus and may cause choking. Do not take this product if you have difficulty in swallowing. If you experience chest pain, vomiting, or difficulty in swallowing or breathing after taking this product, seek immediate medical attention. Do not use if you are pregnant or nursing. Do not use in persons with obstructions of the bile duct, serious liver conditions, have gallstones, have intestinal obstruction or inflammation is present. Do not use if you are allergic to plants of the Asteraceae (Compositae) family including ragweed. People with impaired kidney function, should only use boldo under the supervision of a qualified professional. If you are taking any medications, or have any gastrointestinal disease, consult a healthcare professional before use. 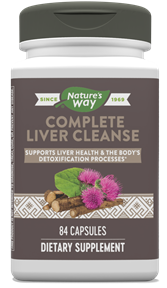 What results should I expect from the Complete Liver Cleanse product? In other words, will I see a change in stool color? Bile is a fluid made in the liver and stored in the gallbladder. Bile helps break down fats in the small intestines. Bile also is responsible for moving toxins to the intestines so they can be expelled from the body. Can I use Complete Liver Cleanse if my gallbladder has been removed? Yes, Complete Liver Cleanse can still be used by a person who has had their gallbladder removed.